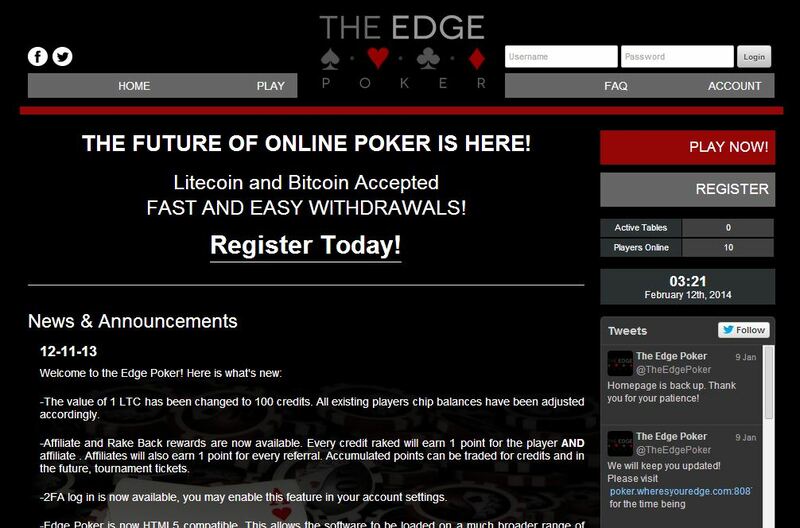 The Edge Poker is an online poker betting site that began providing poker products and services in 2013 in exchange for the most popular virtual currency Bitcoin as well as another cryptocurrency in the form of Litecoin. The self-proclaimed future of online poker, this gambling site is poised to innovate how the popular poker games are played online through the incorporation of Bitcoin and other alternative currencies. With its performance to date, it manages to stay on top of the game, offering poker players better ways of catching winning hands. To learn more about what it can offer, find out about its striking features here. For a poker betting site to truly succeed in the industry, it should ensure that it regularly introduces new and improved poker games. In the case of The Edge Poker, it has rolled out the additional reinforcements to its game library with the inclusion of Pot Limit Omaha and Texas Hold’em. These games now join No Limit and Pot Limit Texas Hold’em, Limit and Pot Limit Omaha Hi, and Pot Limit Hi/Lo. With the range of poker variants available on this betting site, online poker players have more reasons to choose this poker room instead. What is absolutely great here is that various tournaments are being offered. Included are the daily Guaranteed tournaments, Special Bounty tournaments, and Low-Buy tournaments. In addition, hourly freerolls are held on this gambling site, enabling bettors to have as many options as possible to collect massive winnings all throughout their betting sessions. Moreover, with a house rake of 3%, the poker tournaments as well as games absolutely become attractive. It is always an advantage to be able to play Bitcoin poker using any device; that is why The Edge Poker has certainly done an excellent job in making its gaming platform HTML5 compatible. This means that the poker client will not only load in web browsers, but it will also be operational on mobile devices that run on iOS, Android, and Windows Phone platforms. Through this feature, even poker bettors on the go have chances to take the stake in every round. This Bitcoin poker gambling venue online has made available its affiliate and rakeback rewards. This means that its players now have extra ways to increase their bankroll. Every time they play, both the player and the affiliate will earn a point, which can be later traded for credits and tournament tickets. 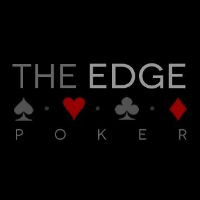 The Edge Poker sincerely values its players; that is why it uses a 2 Factor Authorization security feature to keep the accounts secure and free from any possible threat. It functions by sending an email to confirm the identity upon logging in. This option, nevertheless, can be disabled by the players at their own discretion. With such prime importance on security, poker aficionados will surely have a blast on this poker gambling site.